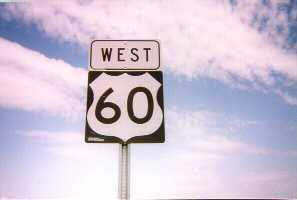 Like most of the long east-west US routes, US 60 was cut short of its final destination by an Interstate. 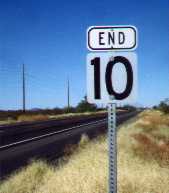 Other than the part replaced by I-10 in far western Arizona, US 60 remains basically the same as it always was. The only other major change was moving it from its "through town" routing in the metro Phoenix area to the old AZ 360, I-10, and I-17. US 60 took over AZ 360 on the Superstition Freeway. There was a TRUCK US 60 in Globe from 1966-77, to avoid a low railroad underpass. 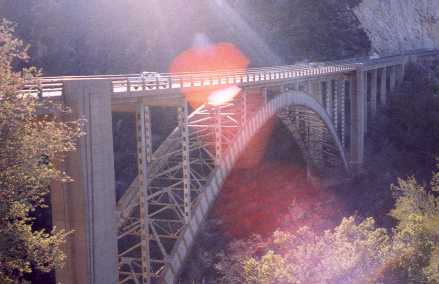 The main route was moved to a new viaduct over the railroad in 1977, and the truck route and original route were decertified. 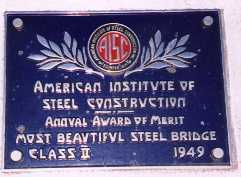 The award-winning Pinto Creek Bridge. 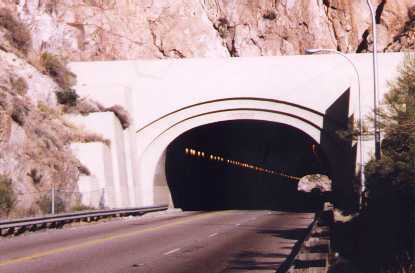 The 1926 Claypool Tunnel was bypassed in 1952 by the Queen Creek Tunnel. 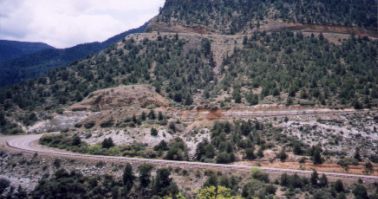 West of the tunnels, the winding "Ladder" was replaced by a straighter route and an arch bridge. 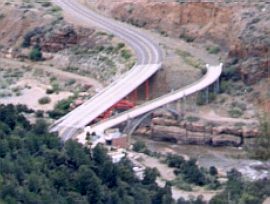 In the mid-90s, some touch-up work was done, removing overhangs, stabilizing slide areas, and adding a runaway truck ramp. 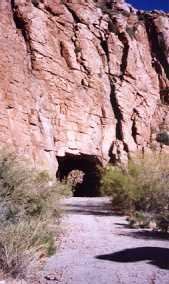 It's a wild ride to the bottom of Salt River Canyon. Pray you don't get behind a slow truck. The old bridge was replaced by the wider new one in the late 90s. 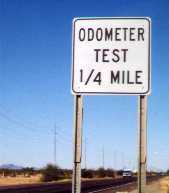 This used to be a speedometer test. Before the national 55mph speed limit, the speed limit here was 60mph, so each mile would take exactly one minute, and all 10 miles would take exactly 10 minutes. The speed limit here is now 65mph. The green milepost markers would seem to make this obsolete, but somebody at ADOT likes it. These signs were last replaced in 1995. 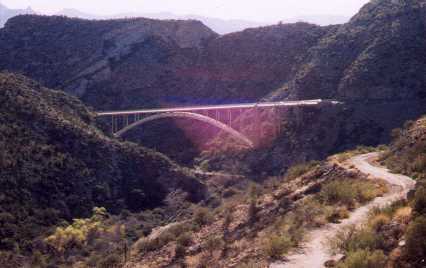 It's located between Phoenix and Wickenburg.